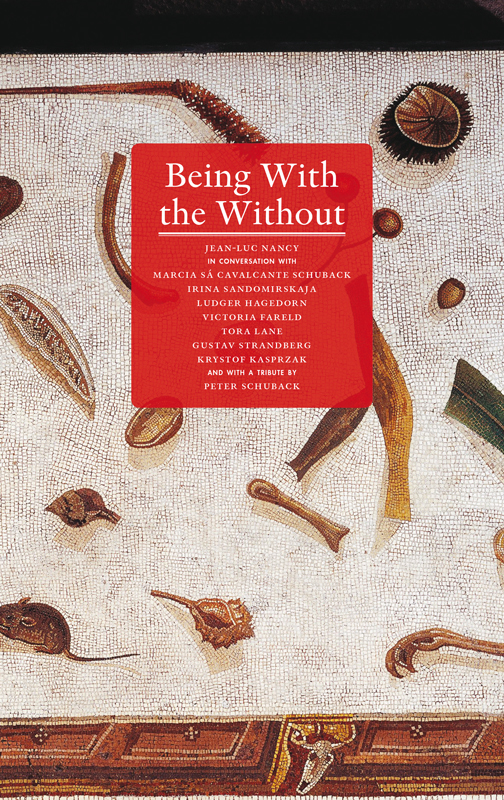 In April 2012 a group of philosophers and scholars in cultural studies, intellectual history, Russian Language and Literature, and political science came to Strasbourg to meet Jean-Luc Nancy and discuss with him the relation between Being-With and Being-Without. At stake was nothing less than the question of community – of being-with – that came to be traced through alienation, communism, myth, natality, polis, sensibility, history and poetry, absences and presences. Being With the Without re-enacts these two days of intense discussions, hospitality, and laughter discovering a common ground of thought in a time defined by the loss of grounds. Partaking in the conversation are Marcia Sá Cavalcante Schuback, Irina Sandomirskaja, Ludger Hagedorn, Victoria Fareld, Tora Lane Gustav Strandberg, and Krystof Kasprzak. The book also includes a tribute to Jean-Luc Nancy by Peter Schuback.